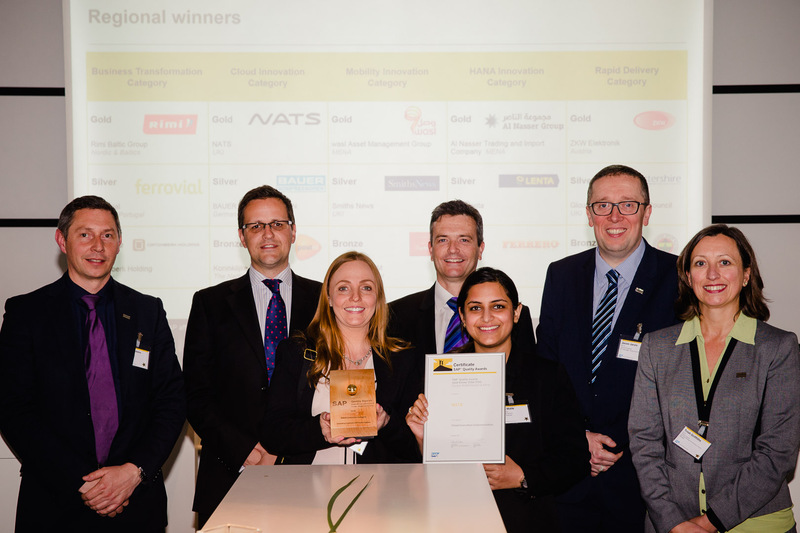 NATS has earned gold recognition at the recent SAP Quality Awards, Europe, Middle East and Africa (EMEA). Winning in the heavily contested Cloud Innovation category, which had a total of seven finalists, NATS was given the accolade following a win in the UK SAP Quality Awards in 2014, which gave an automatic qualification into the EMEA Awards. The award was given for NATS’ implementation of an innovative cloud solution to assist the flow of customer relationship information and benefit the growth strategy of sales teams in key markets, such as the Middle East. The award-winning Customer Relationship Management (CRM) tool helps track lead generation for contracts the whole way through from the bidding of to the securing of a contract and in the future, will integrate with other SAP platforms in place at NATS. 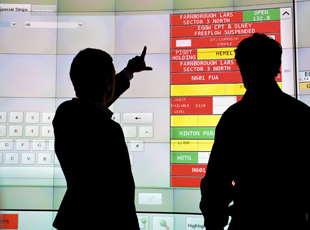 It allows for real time reporting so NATS teams can engage with their colleagues and managers through an interactive dashboard that is always up to date. NATS partnered with Capgemini on the project. Each year, SAP presents awards to recognise customers who have achieved excellence in planning and executing their SAP projects, delivering significant business value to their respective organisations.